What is the Predominate Religion in France? Before you begin working your way to foreign language fluency, it helps to understand the culture behind the language you’re learning. After all, language exists to help a group of people express their ideas and beliefs. 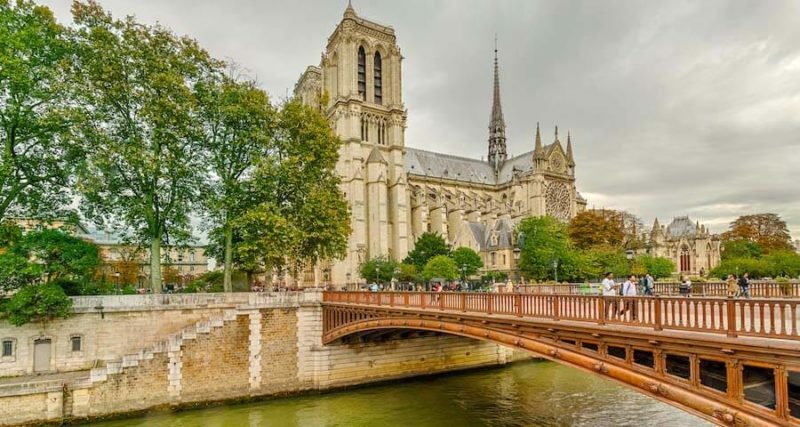 France is an old country with a rich history and culture. As you begin your French language program, gaining a strong grasp on this history, the values, and the etiquette will help you rapidly achieve success. In particular, French society has strong catholic ties even though the state and church are separated. France has separation of church and state, but is over 80% culturally Catholic, so the French observe both religious and secular holidays. The Catholic Church receives no direct funding from the government, but runs a large number of private schools, that are partly state-funded. Only 5% of the French population is Protestant, but France has one of the largest Jewish populations in Europe (<1%) and a growing Muslim population (5 to 10%). The key word in describing relations between church and state in France is “laïcité,” which signifies state neutrality in matters of belief. For all practical purposes, however, France is a Catholic country. In the past, when Catholicism was the official religion, France was considered “the eldest daughter of the Church.” Napoleon concluded a Concordat with Pope Pius VII in Rome in 1801, regulating relations with the papacy. This lasted until 1905, when church and state were legally separated. Even with a predominantly Catholic population, church attendance has fallen to between 10 and 15% throughout the country, especially among Millennials. Despite this, families still practice baptism and celebrate First Communion, especially in posh neighborhoods or in the countryside. These are major social occasions for the whole family, and are seen as part of a good upbringing as much as an expression of religious belief. Islam plays an increasingly important part in French life. About 4.5 million Muslims live in France, mainly from North Africa, and although there are no nationally recognized Islamic festivals, the period of Ramadan and the festivals of Aïd el-Fitr and Aïd el-Kebir are important ceremonies in French Islamic life.